In 2015, we started to follow the inspirational and innovative work of the Institute for Digital Archaeology (IDA), a collaboration between the University of Oxford, Harvard University, and Dubai’s Museum of the Future, as it worked to distribute 3D cameras to citizens in ISIS-stricken war zones so that people could document ancient buildings and artifacts before they are lost to war forever, like the Temple of Bel in Palmyra, Syria. It’s called the Million Image Database Project, and is under the partnership of the United Arab Emirates, the IDA, and the United Nations Educational, Scientific and Cultural Organization (UNESCO). The project aims to document historic and archaeological locations all around the world, using 3D photography to capture dimensions and specifications; the data can later be used to recreate the artifacts and structures through 3D printing and other advanced technologies in the case of vandalism or sabotage. The electronic portal, which hopes to collect one million 3D images of these at-risk historic sites, has already published over half a million images, thanks to the 5,000 3D cameras that have been distributed, with support from the Dubai Future Foundation. The only part of the destroyed Temple of Bel that was left standing is its arch, and the IDA promised to replicate the Arch of Triumph using 3D technology. 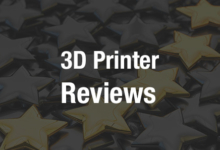 Last year, the 3D replica of the arch was unveiled for the first time in London’s Trafalgar Square, kicking off a whirlwind tour of visits all over the world, including New York and Dubai. This month, during the G7 Summit, the replica of Syria’s historic Palmyra Arch of Triumph made its fourth stop in the Italian city of Arona, where it will remain until July. 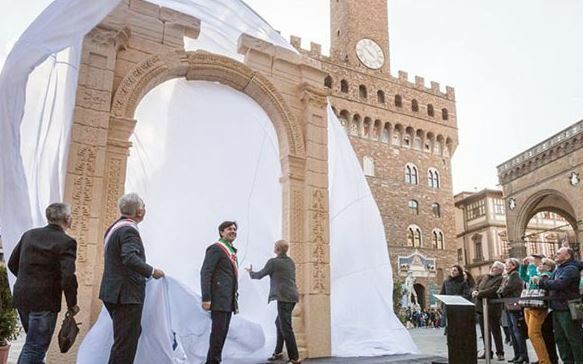 The Arch was unveiled on Arona’s Piazza della Signori by Dario Nardella, the Mayor of Florence, and Dario Franceschini, the Italian Culture Minister; Omar and Walid Al Asaad, the sons of executed Syrian archaeologist Khaled Al Assad, also attended the ceremony. Matilde Mirotti, tenor Giorgio Casciarri, and soprano Sara Cervasio performed “Damasco” (Damascus), an ode to the Syrian capital, at the unveiling ceremony, and the Boys and Girls Choir also performed. Two million people visited the Arch replica in just two days. The replica was created in Italy by the IDA, Harvard University, and the Dubai Future Foundation, and is expected to attract thousands more visitors during the rest of its visit to Arona. The 11-ton replica, made with original images, 3D technology, and Egyptian marble, stands nearly 20 feet tall, which is about two-thirds the size of the original monument. UNESCO statistics show that over 250,000 mentions of the Million Image Database Project’s hashtag on Facebook and Twitter have been registered, and the website has been visited by over 30,000 people. Discuss in the Arch of Triumph forum at 3DPB.com.